An excavation in 2006 along the Milford Haven to Aberdulais gas pipeline revealed the remains of a henge near Vaynor Farm, Llanddowror, Carmarthenshire. Located on a ridge near the confluences of the Rivers Taf, Cynin and Dewi Fawr, the henge was initially identified during a geophysical survey undertaken ahead of the pipeline construction. 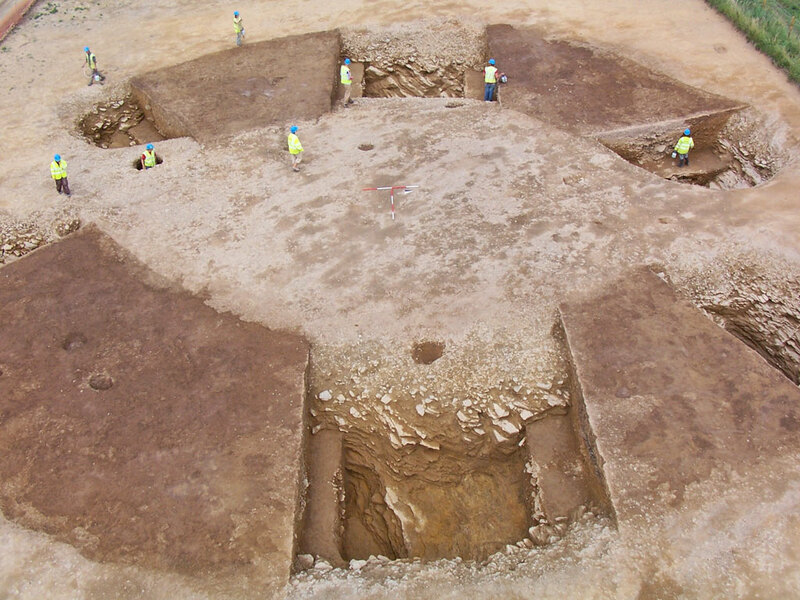 Excavation showed that the henge comprised two ditch segments enclosing an oval area 18.5m long and 13m wide with opposed entrances. The ditches were rock-cut, 8m wide and up to 2.5m deep, and 13 postholes may have supported timber or stone uprights within the henge interior. 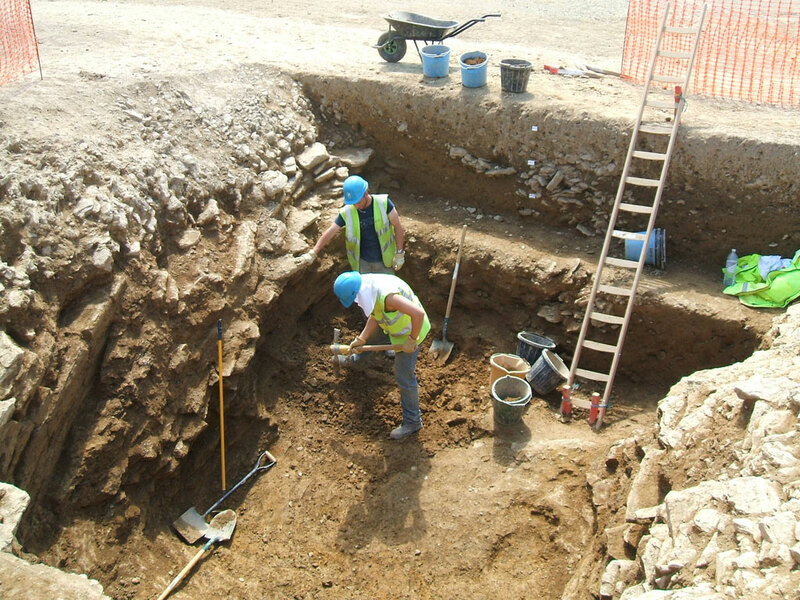 Both henge ditches had filled gradually and artefactual material was largely absent aside from two concentrations of Beaker and Bronze Age pottery and a fired clay marble. Palaeoenvironmental material was similarly sparse. Although most henges are poorly dated, they are usually seen as Late Neolithic/Early Bronze Age monuments and Bayesian analysis of radiocarbon dates from the current example will investigate this theory. Following its abandonment, the henge survived as a shallow earthwork into the Early Roman period, at which point the surviving hollows were deliberately infilled with dark deposits containing Early Roman pottery, fired clay and burnt bone (not currently identified to species). Following this, a four-post structure was built above one of the infilled ditches. Also cut into the infilled ditch was a small pit containing butchered and burnt sheep/goat bones and charred cereal grains. A second small pit contained Early Roman pottery and a rich assemblage of charcoal from herbaceous species, presumably used as fuel. The nature of this Early Roman occupation is enigmatic, but possibly represents renewed ritual use of the site. 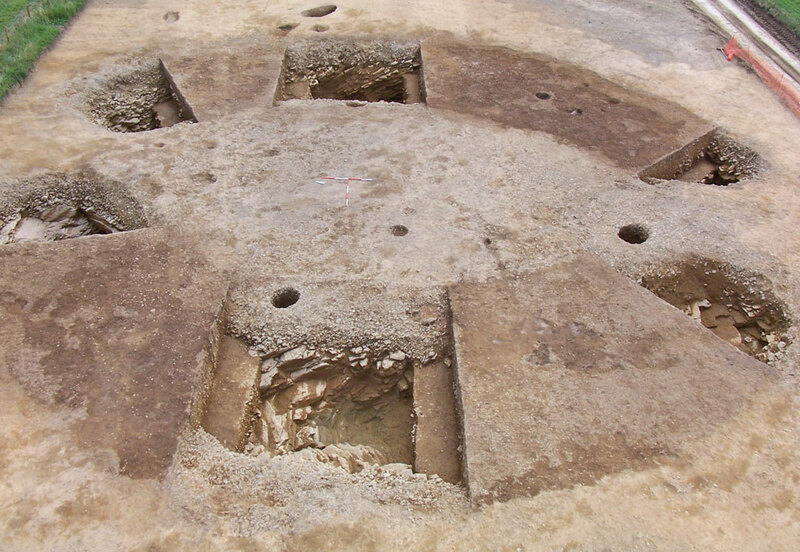 The remains of butchered and cremated animals could indicate feasting, whilst the four-post structure potentially had a funerary use, for example to support excarnated remains. The presence of a Middle Bronze Age cremation cemetery found along the pipeline route in the field immediately east of the henge indicates that this activity occurred within a landscape with a long tradition of ritual and funerary use.